Held at Church of the Ascension, The Avenue, Wembley from 8pm on Monday 1st October 2018. 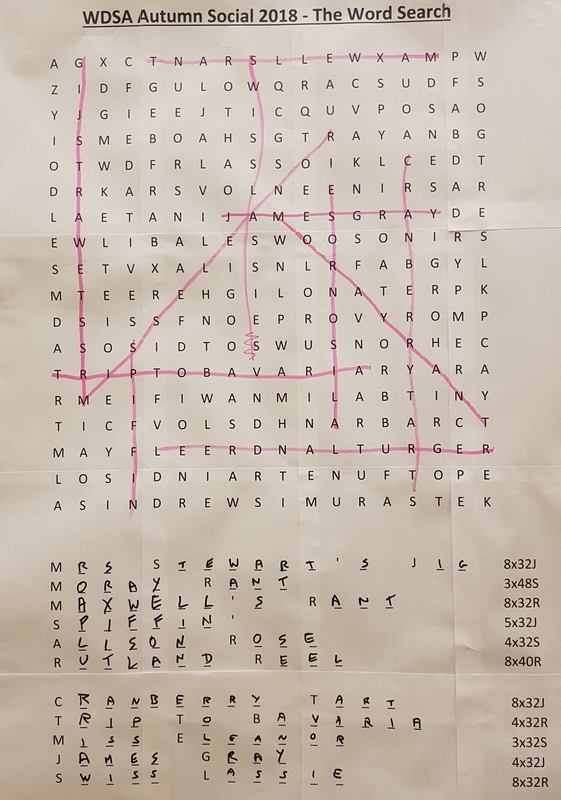 Hidden in the grid below are the names of 11 dances. As is normal for these puzzles the words are spelt out horizontally, vertically or diagonally either to the left, right, up or down. 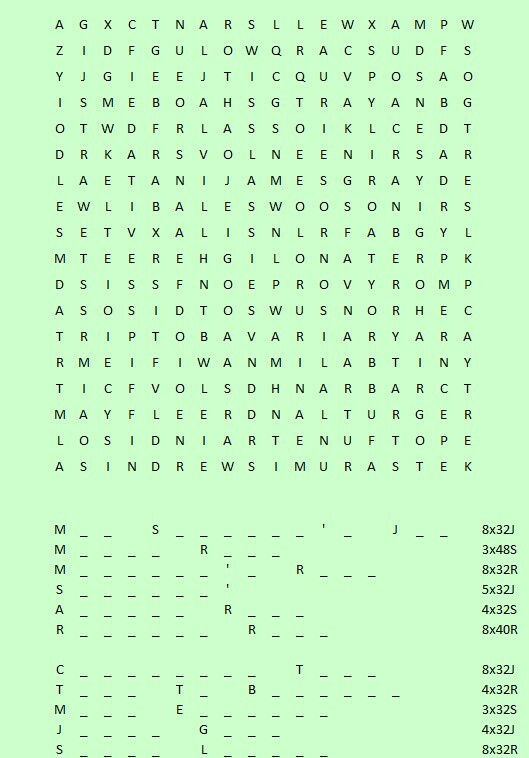 To help you the full programme is shown below the grid with the initials of each word, the number of missing letters and the dance format.